Hosts Israel has selected their strongest possible squad for their historic first IJF event. World number three Peter PALTCHIK has been a focal point of the team of late and is counting down the days until he and his colleagues can grace the IJF stage in Tel Aviv. “I feel proud to have this event for the first time in my country,” said the -100kg star. Israel will be expected to be among the top performing nations and nobody would rule them out of the reckoning for top spot in the medal table. “I am passionate and motivated in every single training,” said PALTCHIK. The new event will provide home advantage to the plentiful and talented home team and act as a springboard for them in 2019 as they seek to qualify as many judoka as they can for Tokyo 2020. “This event is a great opportunity to collect more points, experience and to improve my ranking,” added The Hague Grand Prix and Abu Dhabi Grand Slam gold medallist. On his Grand Slam debut Shady ELNAHAS, 20, stole the show in Osaka in November as he won a sensational silver medal in the -100kg category. ELNAHAS defeated Czech republic veteran HECL Radek, world bronze medallist LKHAGVASUREN Otgonbaatar (MGL), world number five Jorge FONSECA (POR) and home favourite and Asian Games winner IIDA Kentaro (JPN) back-to-back and all by ippon. The world number 35, who lists his favourite techinique as harai-goshi, lost out to former world champion WOLF Aaron (JPN) in the final who scored with a ko-soto-gari and a o-uchi-gari. Since Osaka, ELNAHAS won the Canadian national championships on 12 January and will be a man to watch in Tel Aviv at -100kg. 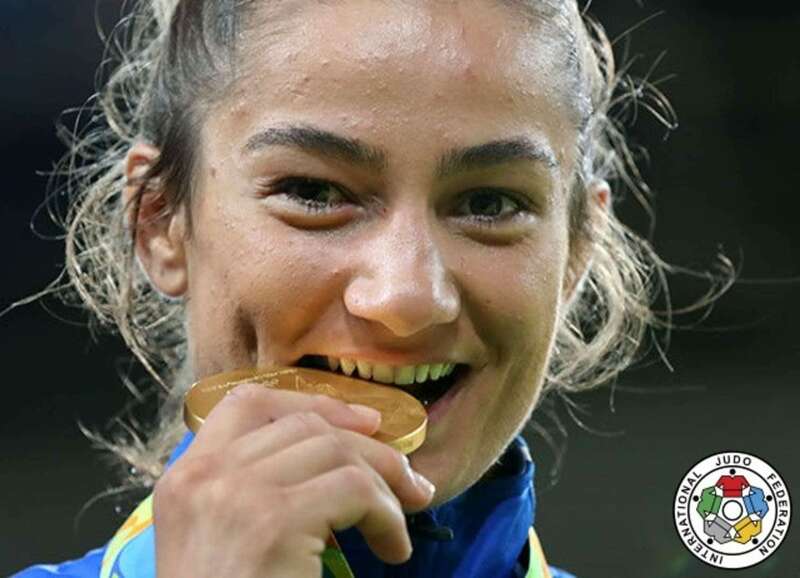 Rio 2016 Olympic champion and former world champion Majlinda KELMENDI (KOS) returned to the IJF World Judo Tour in late 2018 with a silver medal at the Abu Dhabi Grand Slam and gold at the Tashkent Grand Prix. KELMENDI, 27, will be highly-active in 2019 now that’s she’s returned to full fitness and is edging closer to her title defence at Tokyo 2020. The Kosovo hero will be expected to quickly move back up the rankings for her current position (15th) and will be intent on regaining the world title and her first since 2014. Kosovo are playing their cards close to their chest and easing KELMENDI back into IJF World Judo Tour duty with the revered champion yet to register for any subsequent competitions. KELMENDI would be expected to compete in Paris – a blockbuster event that helped her to make her name having won the French Grand Slam on four occasions – but competitions will come thick and fast in 2019 with Germany (Düsseldorf) hosting a Grand Slam in February and Russia (Ekaterinburg) hosting their IJF leg in March. A dream match-up with world champion ABE Uta (JPN) could come to fruition as early as Germany with the Japanese starlet not included in her country’s team for Paris while KELMENDI will be expected to start in at least one of the IJF’s offerings in February. 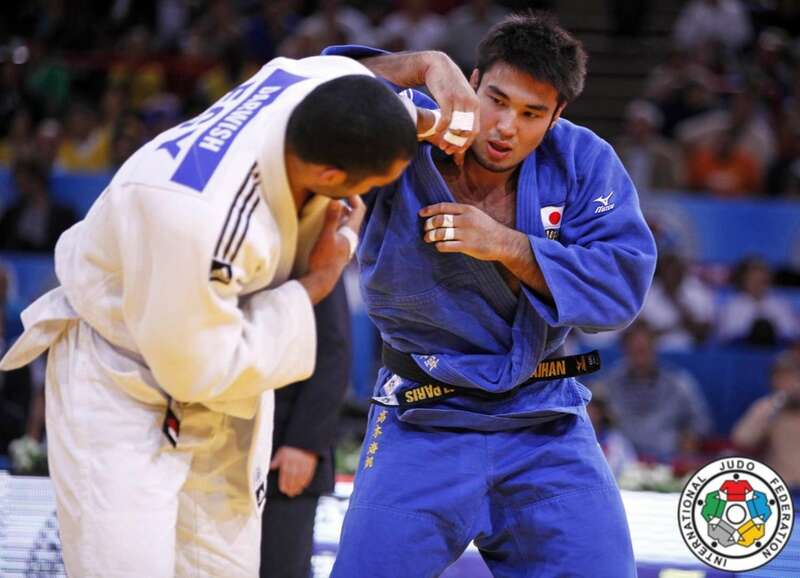 Former All Japan Championships winner Kaihan TAKAGI will make his IJF debut for Australia in Tel Aviv. The 28-year-old, who is now going by the name Kayhan OZCICEK-TAKAGI, enjoyed domestic success while part of the Japanese setup and a sprinkling of standout results in continental events. 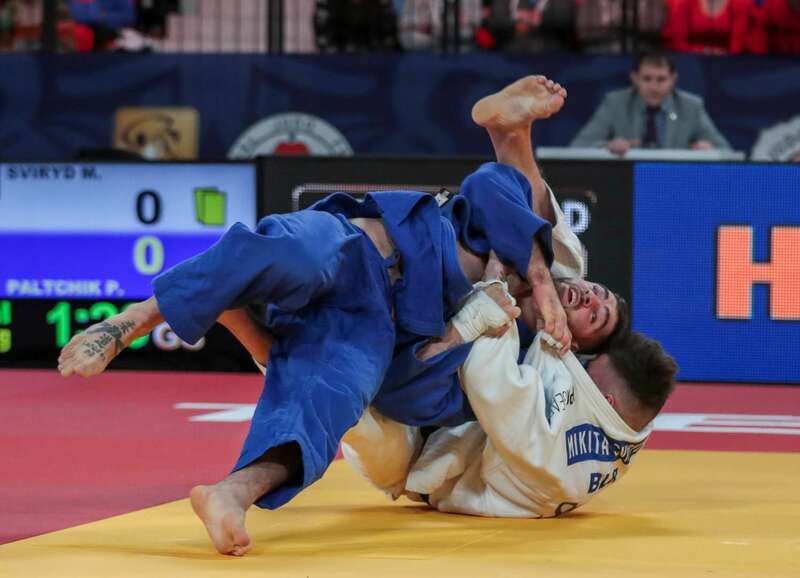 The o-soto-gari specialist saw his opportunities limited due to the abundance of riches Japan are blessed with in the -100kg category and has switched nations in order to realise his ambition of going to the Olympic Games. OZCICEK-TAKAGI was born in Darlinghurst, which is a suburb of Sydney, and has an Australian passport from his mother’s side of his family. He still lives in Tokyo where he competes for his company team, JRA, and makes regular trips to Australia for training as he continues to adapt to a new language and working alongside his new teammates. Despite some periods of inactivity, the Tokyo 2020 hopeful has won the Kodokan Cup (2014), All Japan Championships (2015) and the Asian Championships (2015). Australia’s new man, who won their December Athlete of The Month Award, holds wins over former world champions Maxim RAKOV (KAZ), Luciano CORREA (BRA) and HAGA Ryunosuke (JPN) as well as double Olympic medallist NAIDAN Tuvshinbayar (MGL). 54 countries and 415 judoka are registered for #JudoTelAviv2019 with individual glory and Tokyo 2020 Olympic qualification naturally dominating the discussion. However, qualification is also on the line for teams for the first time. 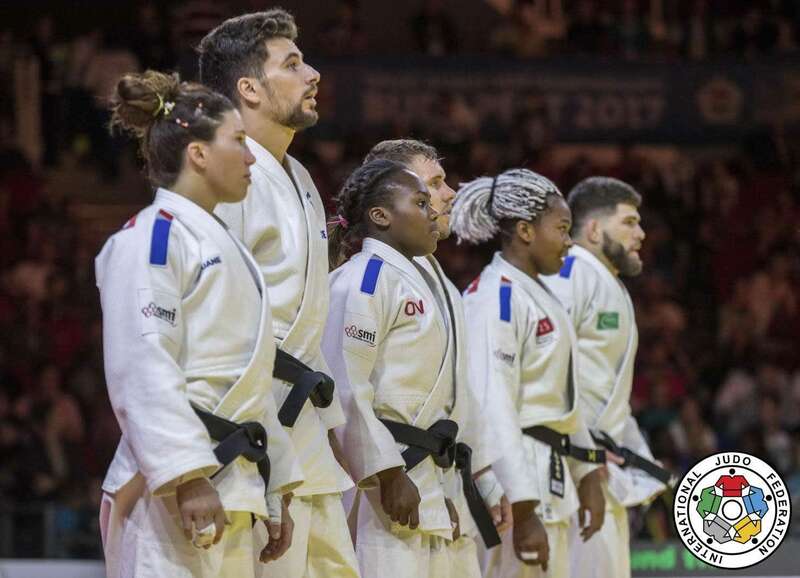 Judo’s highly-popular mixed team event will make its debut next year and teams are racing to qualify their athletes for another tilt at an Olympic glory. Japan are automatically qualified as hosts and have the difficult but fortunate task of picking six judoka from their droves of champions for the spots at -57kg, -70kg, +70kg and -73kg, -90kg and +90kg. In addition to Japan, 10 other countries are currently in qualification positions with at least one judoka in a qualification position in their respective weight categories. Brazil, Canada, Cuba, France, Germany, Hungary, Kazakhstan, Netherlands, Russia and South Korea are all on course for the team event. Azerbaijan, Great Britain, Israel, Italy, Mongolia, Poland, Portugal, Spain and Ukraine are next in line with five out of the six slots filled. Belgium, China, Kosovo, Serbia, Slovenia, Sweden and Turkey remain among those in contention with four spots filled. Click here to follow the qualification for the Tokyo 2020 Olympic team event.